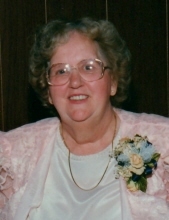 Janet June Sirek, age 80, passed away April 13, 2019. Beloved wife of the late Jerome; loving mother of Paul (Mary) Sirek and Debbie (Dan) Krick; cherished grandmother of the late Jason (Tracy) Sirek; adored great-grandmother of Shelby and Abby Sirek; and devoted sister of Constance Cloos. "Email Address" would like to share the life celebration of Janet June Sirek. Click on the "link" to go to share a favorite memory or leave a condolence message for the family.